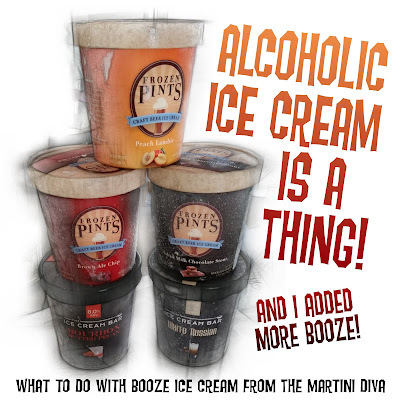 ALCOHOLIC ICE CREAM IS A THING! 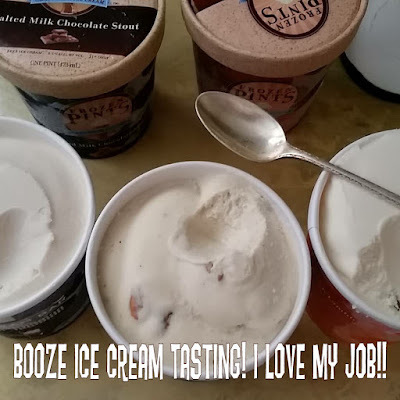 ALCOHOLIC ICE CREAM IS A THING! The UPS guy came a knocking and delivered unto me five, count them, FIVE pints of booze ice cream recently! 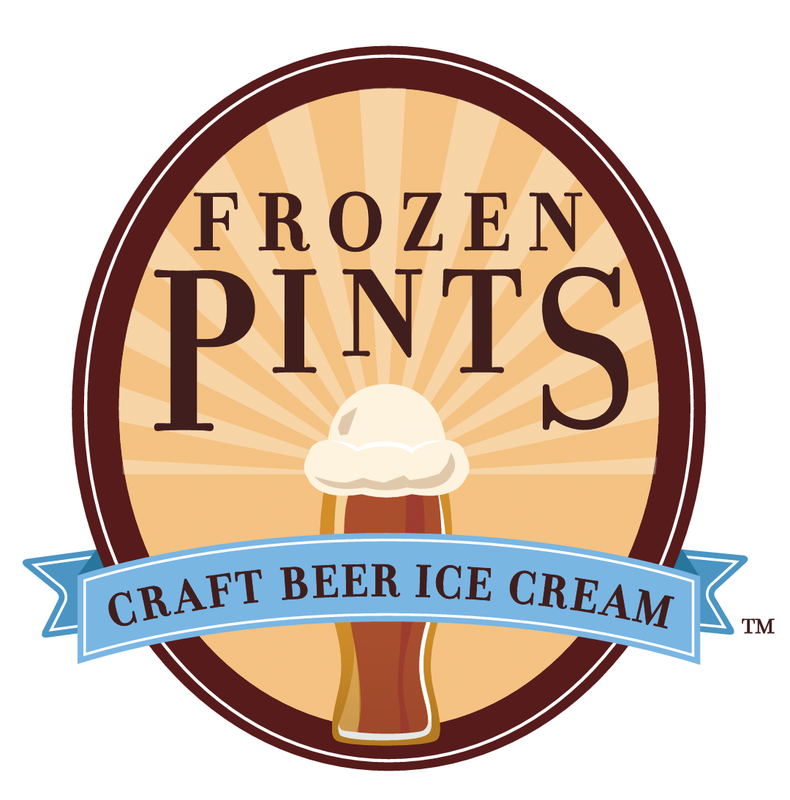 Three flavors of Frozen Pints Craft Beer Ice Cream and two flavors of Ice Cream Bar liquor ice cream, sitting snugly in their little cooler looking all frosty and tempting. @FrozenPints and I had connected on Twitter and they volunteered (when their production caught up with demand) to send me some samples to taste and to use to create some fun cocktails. 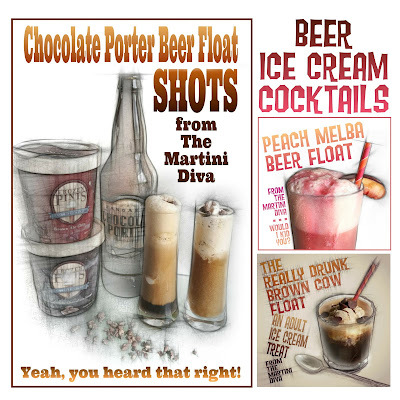 That was a few weeks ago and I had completely forgotten they were coming, then - BINGO - a booze and ice cream lovers dream! 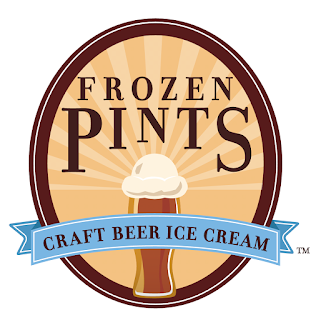 The five pints arrived perfectly frozen, packed in their own cooler with dry ice. They were still frozen, not a sign of melting anywhere. And I live in Tucson and it's summer! Plus the handled cooler they came packed in is a cool little dividend. Sadly, I had to put them away, hard as it was, because I wanted time to give them a real taste test and to work out some recipes and, at that particular moment, I was immersed in Daiquiri week recipes. BUT, naturally, first I grabbed a spoon and immediately tasted each one, even though it was only 10 a.m. I'm no fool, and who can resist boozy ice cream? I really could have polished a whole pint off then and there, but, sadly, I had to tuck them in the freezer. Man, that was hard. Yeah, okay, I kept sneaking back for little spoonfuls. So, a few days later there I was with the (somewhat depleted) Frozen Pints and Ice Cream Bar goodies lined up in front of me and five dishes and spoons at hand ready to give serious attention to each flavor. Can I just say, I love my job? REVIEW OF FROZEN PINTS & ICE CREAM BAR ICE CREAMS: Ice Cream Bar BOURBON BUTTER PECAN I made Homemade Toasted Walnut Infused Maple Bourbon and used up my entire first batch pouring it on ice cream so I immediately dug into this one! The first taste you get is the bourbon, which is what you want in bourbon ice cream, but then it mellows as the ice cream melts and the vanilla comes in and kisses your palate. The last burst of flavor is from the chunks of toasted pecans which combine their slight bitterness with the sweetness from the caramel for a really pleasant finish. Best use? Pour in 1 shot of good bourbon, half a shot of cold espresso and a scoop of this into a cocktail shaker with a few ice cubes, shake hard, strain into a coupe glass and garnish with a dusting of espresso powder. Ice Cream Bar WHITE RUSSIAN Tastes like a really cold, really creamy White Russian. Best use? Grab a spoon.